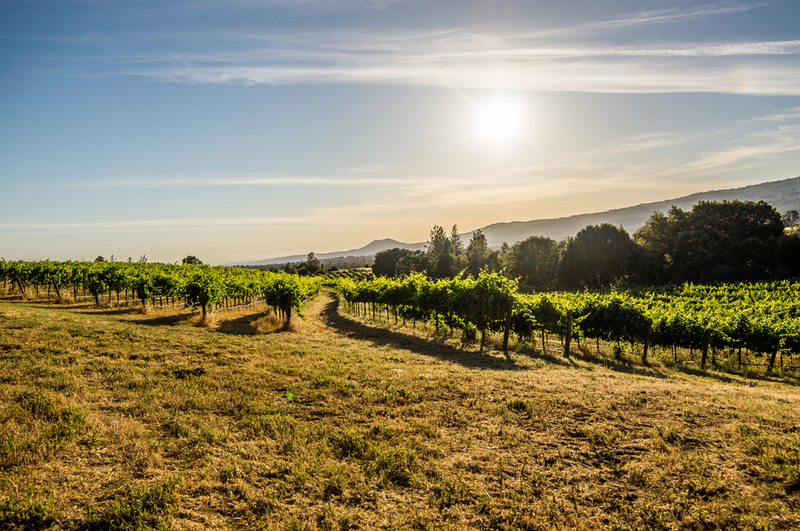 For over 40 years, our grapes have feasted on volcanic earth, snowmelt waters from Lassen Volcanic National Park and abundant sunshine here in the new AVA of Manton Valley. Farming practices are genuine. Friends and neighbors come help with harvest and of course to enjoy the wine! 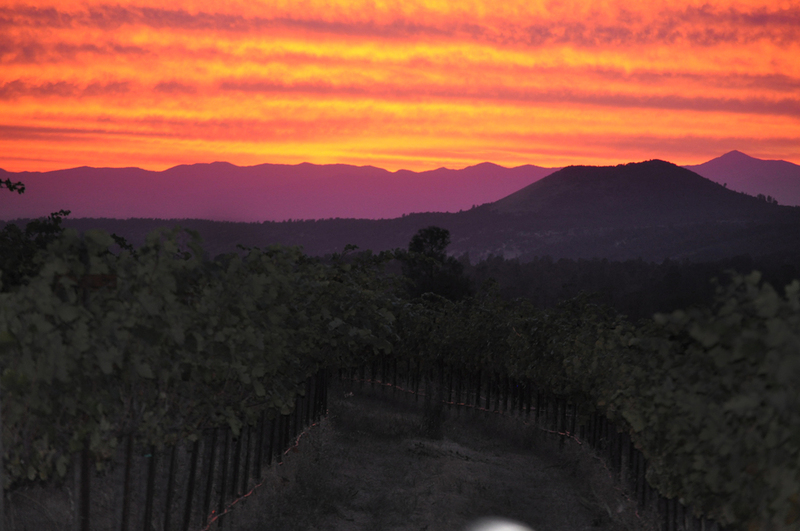 The altitude of the vineyard provides cool nights during the hot summer growing season. The vines are planted in well-drained, volcanic soils on arid slopes. As a result, the grapes have great tannic structure and firm fruit acids. With meticulous attention to detail, we strive for a distinctive mountain character with focused flavors. Come experience our passion for making great wines from superb estate grown certified organic grapes. We accept credit cards, cash & checks. This Cabernet Sauvignon illustrates the results of cool gradual ripening and is a testament to exquisite ripeness and great maturity. It is a complex wine with berry aromatics and great structure. It’s dark ruby color exhibits a vibrant nose of black cherry, all spice and roasted coffee. On the palate, the wine is elegant and expressive of steeped black cherry and ripe black plums. The satin texture is fruit driven with power and finesse followed by a long layered finish. Aged in oak barrels for 22 months. This Cabernet Sauvignon comes from small thick-skinned berries which produce a deep, dark, ruby red color, along with the complex aromas of bell peppers, dense dark berries, and a hint of mineral. Its naturally concentrated favors of black currant and blackberries, excite the palate with touches of bittersweet chocolate. The complexity and finesse of this Cabernet Sauvignon, along with its refined textures, is balanced by soft tannins and a finish that is smooth, polished and long. This delicious table wine consists of a blend of Cabernet Sauvignon, Malbec &Merlot . This great blend has a rich palate of black cherry and ripe stone fruits. It is a great all around wine that goes with almost any dish and red meats, pastas or chicken. It is also a wonderful picnic wine to drink with someone special and to share with friends. This table wine is a late harvest estate Syrah. Its sweetness is light and filled with vine ripened fruit. Its fresh berry palate will remind you of homemade blueberry pie and candied yams. 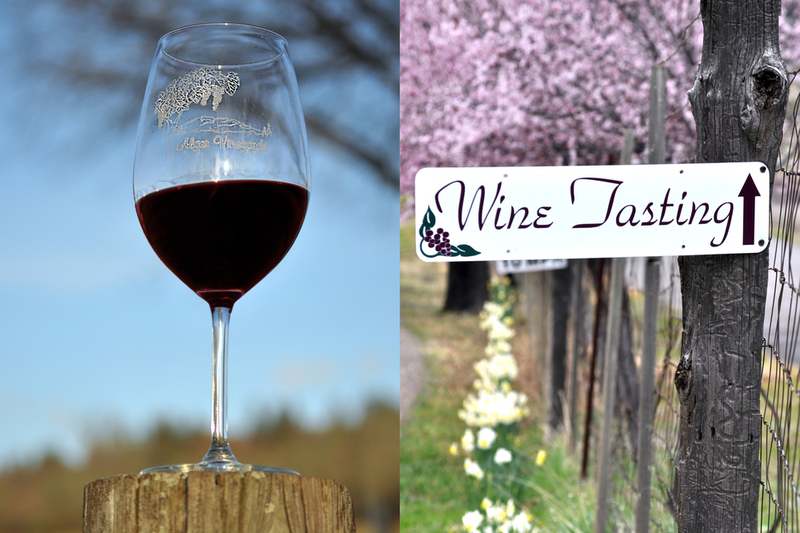 Lusty Red “Blue Dress” is great paired with cheesecake, chocolate cake or fresh berry crepes. "Lusty Rosé" is a pale and perfumed crisp wine. The backbone of this wine is a fruity mountain Zinfandel, complimented with Syrah, for a red-fruited crackle. The fruit tones of strawberries and citrus make this elegant Rosé bright, clean, dense and delicious. This 2007 Reserve, Petite Sirah dessert wine is rich and full-bodied with a smooth velvety texture. It’s fresh berry bouquet is followed by blueberries and dark cherries on the palate. The intense finish is sweet but balanced with plenty of tannin softened by aging for 7 years in French-American neutral oak barrels. This estate grown fruit captures the intensity and vibrant character found in mountain grown fruit. A dark garnet color brings aromas of ripe plums and Bing cherries which dominate the nose of this wine. The palate is dry, yet full-bodied, with hints of white pepper followed with flavors of deep red raspberry and blackberries. Soft vanilla tannins lead to a long well-balanced finish. A dark garnet color brings the palate of this wine to well-balanced elegant flavors of black cherry and stone fruits, It’s silky texture brightens the palate and the soft, but lingering tannins, show off the great volcanic soils of Mt. Lassen and what we can do with our local wines.